Laguna Keyes is hands down one of the top 5 properties in North Myrtle Beach and the nicest property in the Cherry Grove section of the Grand Strand! 705 is meticulously furnished and maintained by the owners who also own a second unit on the penthouse floor. 705 is their baby. They purchased the property 5 years ago and have improved it ever since. The photos of the listing don't do it justice. Laguna Keyes is located in the 5700 block of North Myrtle and is just a short distance from Beaulineaus, Ocean Drive and Barefoot Landing. The unit itself has TVs in all rooms including a 55 inch flat screen in the living room, and a flat screen TV in each of the bedrooms with FREE Wifi. It is a nonsmoking unit. The property boasts of expansive private balconies with glass railings that are incredible... 705s balcony is very comfortably appointed accommodating 8 persons. There are 2 kiddie pools, along with outdoor and indoor pools on the first level, along with a 6th floor lazy river, 2 more hot tubs and the second kiddie pool. There is a state of the art fitness room overlooking the ocean. The property also has 3 high speed elevators. 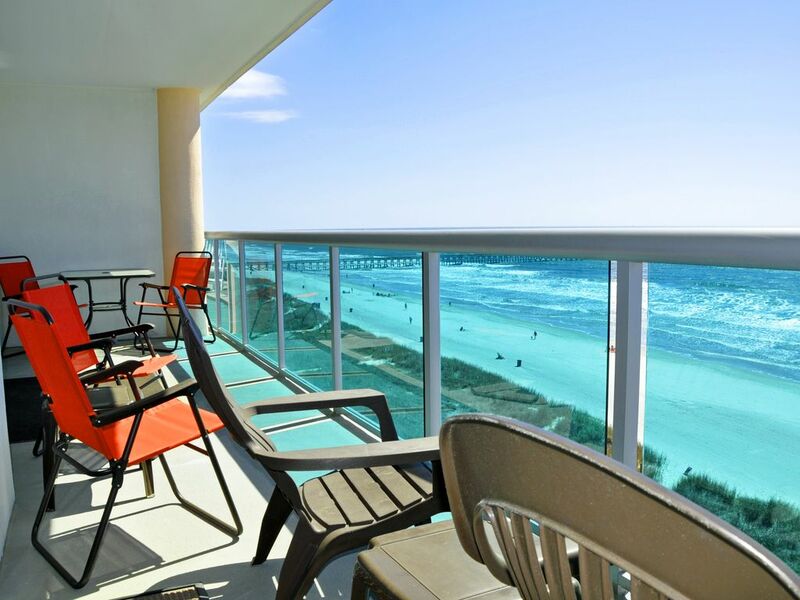 This is one of the nicest units on our rental program and is certain to impress and in our opinion one of the nicest on the beach! So hurry and call today and reserve your best vacation ever! Loved the location! Condo was nice and clean. Great view. Washer and dryer does need to be replaced and possibly a fire hazard. A very nice apartment a great beach and nice building ..I recomm. Very clean which was perfect to us. Very accomodating with the 3 queen and the king. The beach at this side was very nice and the waves where not so high which was great for my kids. Its not so close to the broadwalk but we had all what we need with 4 miles around... the building was great with having pool and hot tubs and lazy river and kids pool.. the only 2 things we hate was the washer and dryer they really need ro be changed. Also the kitchet needs more pots and pans with good quality. Other wise it was great experience. I recommend and may go back again but with new washer and dryer. Would stay in 705 again! Liked everything about the unit. Only thing is it really needs a new washer/dryer. It's full of sand and dryer squeaks really bad. Could use a few more cereal bowls. Nicely furnished! Everything was expected as depicted in pics.